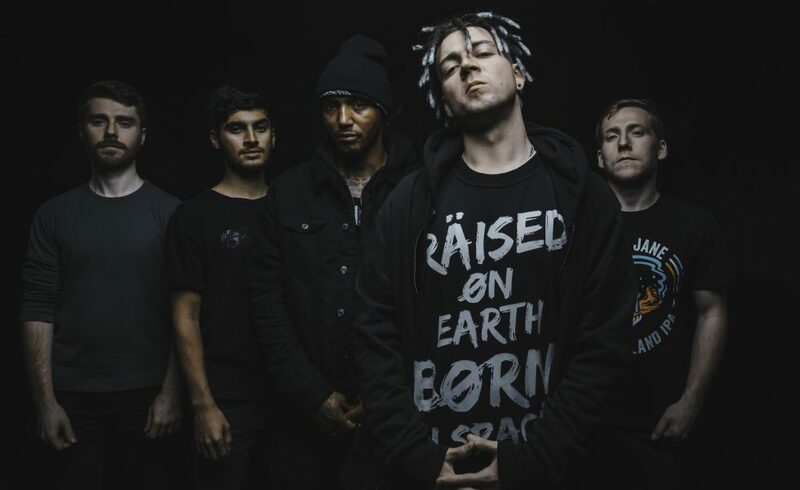 Apr 15, 2019 / WORDS Jack Holt / Hacktivist demonstrate their mix of metal and grime in new single Reprogram and its accompanying video. After losing key members Ben Marvin and Tim ‘Timfy James’ Beazley, fresh off a UK tour Hacktivist have come out firing with new single Reprogram featuring new guitarist James Hewitt. The single along with its bleak accompanying video confronts themes of atomic war and conspiracy neatly wrapped into a marriage of grime vocals and metal instrumentation, with new guitarist James Hewitt promising more to come. Along with the release of Reprogram, Hacktivist recently released a cover of The Prodigy’s Spitfire in memory of Keith Flint. Hacktivists increased activity and line-up change has relit the groups passion for making socially challenging music according to co-vocalist Jot Maxi. “Finally, now that James Hewitt has enlisted as our new guitarist/producer there is a true sense of unity between the five of us and I’m beyond ecstatic that everyone will get to hear not only the ground-breaking new flavours he has brought to Hacktivist,” said Jot Maxi. Having toured with respected acts like Korn and Enter Shikari and played at prestigious festivals Reading & Leads and Download, the Milton Keynes outfit released their debut album Outside the Box in 2016.